Heather Gorham: Do you love your mind? Do you love your mind? 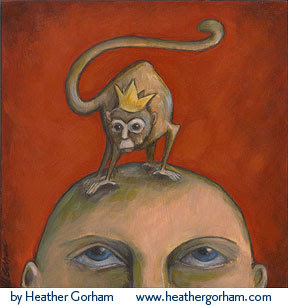 I was cruising the net, checking out sites that linked with my website, and I discovered that Deepak Chopra used this painting of mine to illustrate his online letter about "monkey mind" this month. That is so cool!